The goal of establishing this reserve is to actively protect the declining population of marine mammals and sharks. St. Eustatius National Parks Foundation STENAPA, which plays an important role in this matter, congratulated the local government and the inhabitants of Statia for now being a part of the Yarari reserve. STENAPA has actively taken part in protecting marine mammals and sharks and will continue those efforts in the future. With the signing of this declaration, Statia joins the Public Entities Bonaire and Saba, which already signed the declaration earlier. 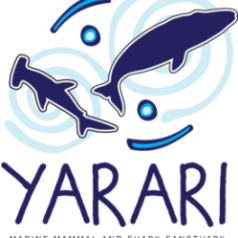 In the Yarari reserve, which now also encompasses the waters of Statia, the protection of sharks and marine mammals is now officially acknowledged. Sharks and marine mammals play an important role in the marine environment. Where there are more sharks, there are – contrary to what one might expect – more fish as well. That makes the established reserve important for the fishermen on the island, who have expressed themselves in favour of the establishment of this reserve. Marine mammals are, just like sharks, deemed important for tourism in the Caribbean region.